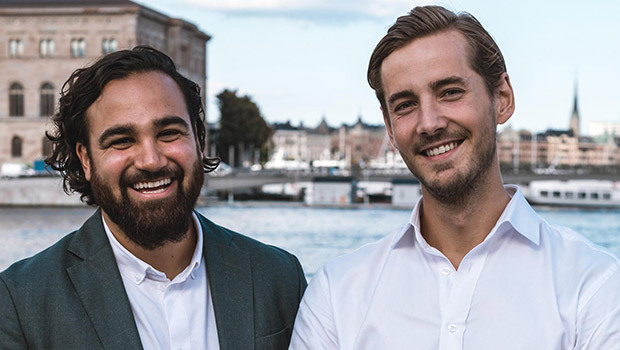 After US and homeland Sweden, Brandie, the crowd marketing platform, has entered India in partnership with 11 selected innovative Indian brands. Brandie is built on the principle that consumers already endorse their favourite brands on social media. With Brandie, brands can now reward this behaviour, encourage and enhance it and build a network of brand loyalists on the way. Playing on the concept of word-of-mouth marketing, the founders of Brandie have developed a disruptive model where consumers promote the brand they love on social media by posting pictures and earn rewards for it. Brandie has been launched with 11 selected Indian brands after a month’s Beta testing, each trendsetter within its own vertical. The brands on board Brandie include The Bowl Company, Godrej Nature’s Basket, Raw Pressery, Anand Ahuja’s Bhaane, Pipa Bella, Le15 Patisserie by Pooja Dhingra, Olive Bar and Kitchen, Yerha, FancyPants and Bengaluru FC. During the one-month Beta test, a closed community of 4,000 users posted 15,000 photos and generated 3.9 million impressions and 400,000 likes, which resulted in more than 6,000 rewards being claimed. The testing demonstrated an instant increase in revenue by 30% and a reduced marketing spend of about 40% by the brands. The app is available on iOS and Android. Users either need to be invited to the platform by the brands or they can choose the brand they like and request to join their reward programme. The platform is channel-agnostic and allows users to post on all popular social media channels such as Twitter, Instagram, Facebook, Pinterest, WhatsApp, Tumblr, etc. Brandie’s photo recognition tool makes sure that the content posted by users is related to the brand, on the basis of which users are rewarded points which enable them to get non-cash meaningful rewards from the brands like VIP access to matches by Bengaluru FC, limited edition jewellery from Pipa Bella, exclusive invites to future events by Bhaane and more. The data by-layer of the platform also gives brands insights on how and where customers associate with their brand, enabling them to run better future campaigns. “India is an exciting market for us. The consumer behaviour here is very different from that of US and Sweden, our other markets. The one-month Beta test gave us a lot of insights which we included into the platform before the official launch,” he added. In the next six months, Brandie plans to take on board 10 more brands.